There's something quite thrilling about renovating a seriously neglected beachside condominium. On the one hand, the positioning, views and access to the beach are to die for, but on the other, this often means there are some fairly stringent regulations on how much structural transformation of the property can take place. 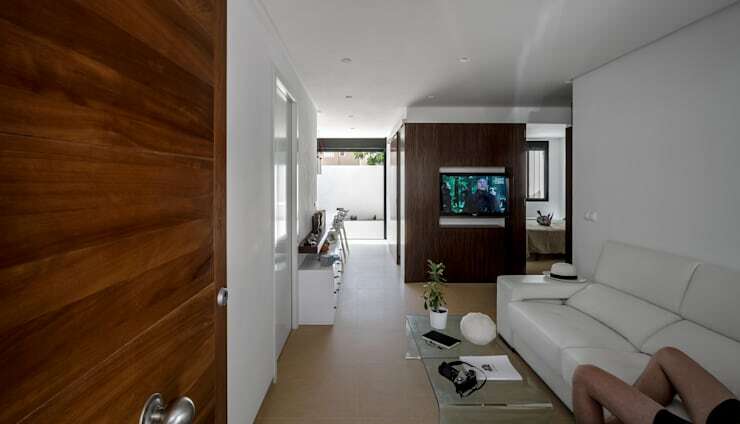 This particular beachside property was renovated by Selecta Home. 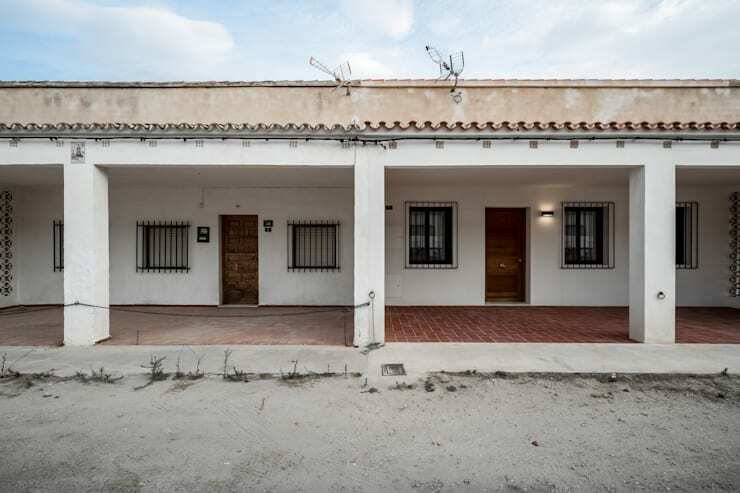 It is located in the lovely Spanish state of Valencia and as with many Spanish homes in the area it was designed with thick walls and the fervent desire to keep out the intense Spanish sun. As a result, the doors and windows were small and the house dingy by today's standards. Come join us on a photo tour to see the dramatic transition that took place. 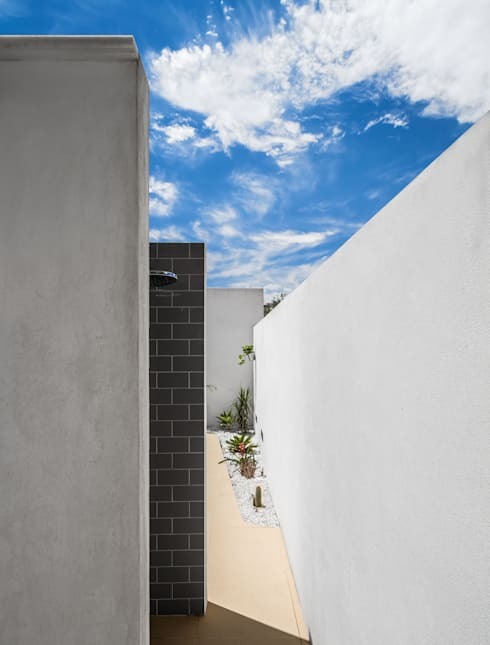 The basic construction of the facade of this beach home was left unchanged. But we can see how the new red tiles, window and fresh paint updated the exterior. For comparison, look at the un-renovated neighbours home on the left. 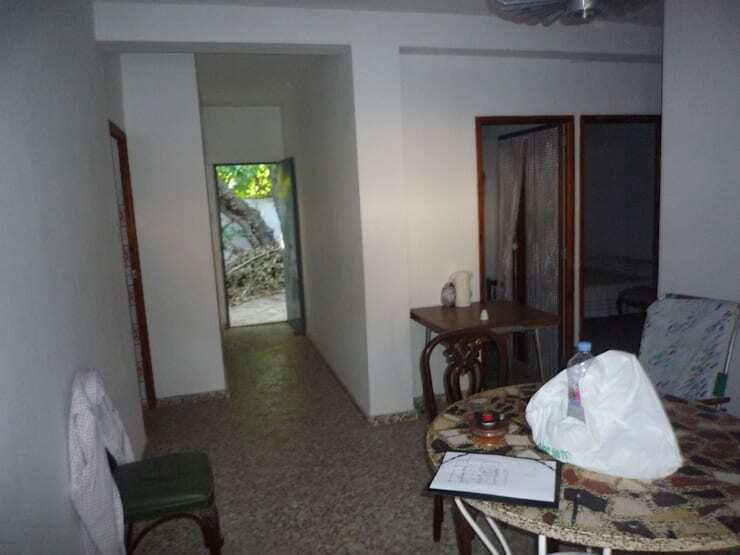 This view of the interior shows the narrow hallway, stone floor and low door leading to the back courtyard. Over all the effect is dingy and out-dated. 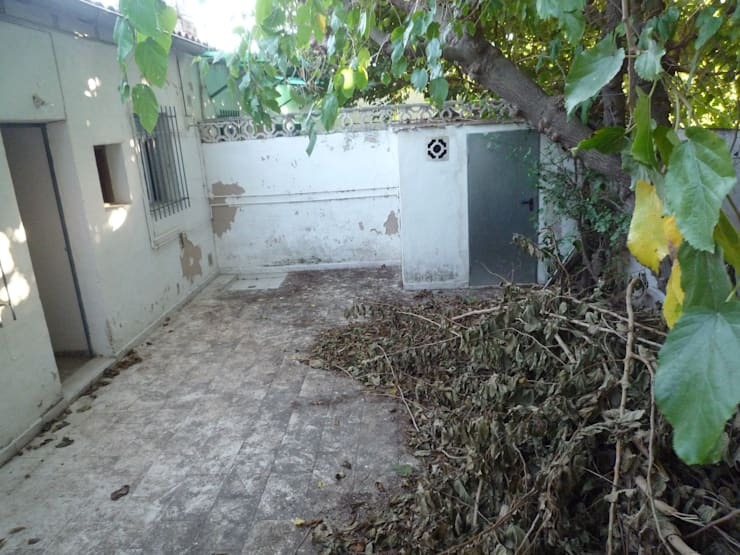 The back courtyard was in a serious state of neglect. There were the remnants of a crumbling barbeque area and a tree in poor health. 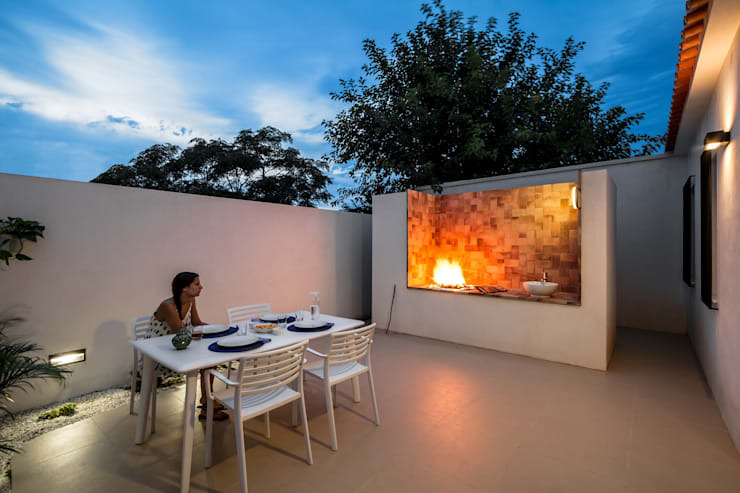 The ground and walls have been finished in a subtle, earth coloured render and a most impressive outdoor barbecue has been added.This is an outdoor entertaining area to really take advantage of the summery, holiday feel of being on a beach holiday. What a difference! The back door has been replaced by a floor to ceiling glass sliding door that lets in lots of light. The two small bedrooms have been turned into one and the ceiling and walls have been finished in a high-gloss white paint. The effect is dramatic and the entire area feels much more open and bright. 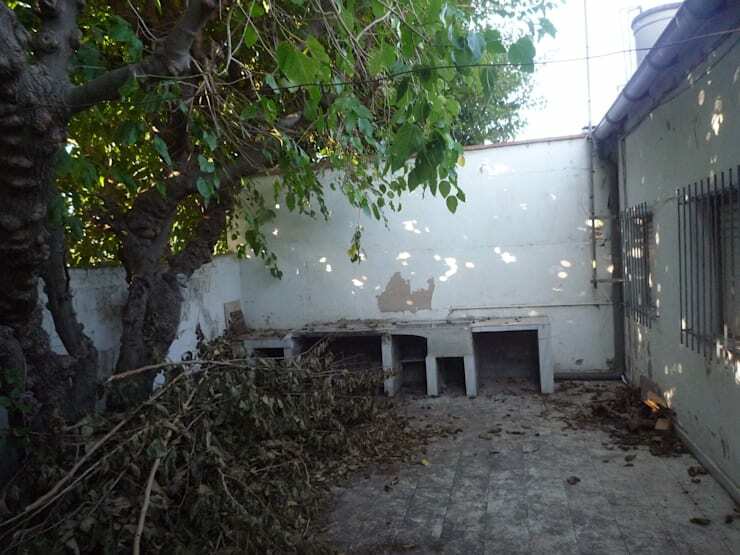 From this end of the small courtyard we can see the small outdoor toilet. It's hardly an inspiring view. As with the other side of the courtyard the floors and walls of the courtyard are in a sorry state of repair and that same, unhealthy tree crowds the area. While there is now a decent indoor bathroom, an outdoor shower has been installed as well. This is perfect for showering off all that sand after a day at the beach. Look at the sky! We may not have any more comparison pictures, but we'd love to show you a little more of the interior. 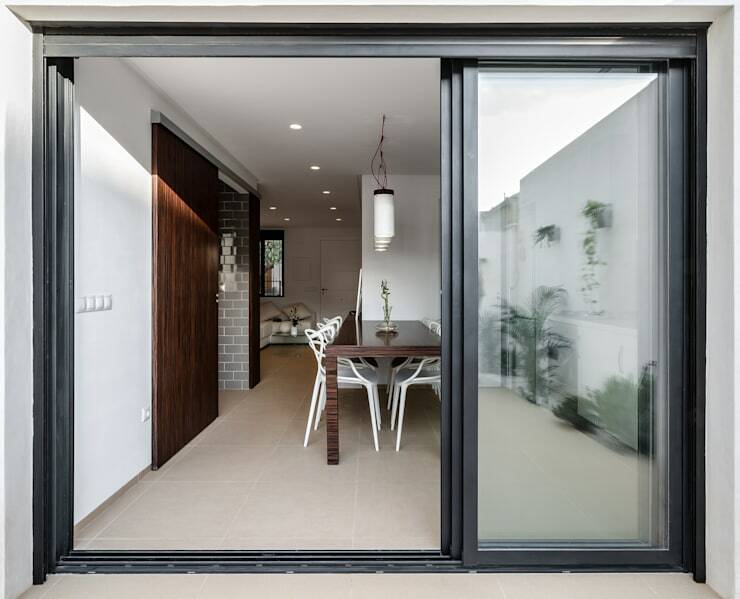 Here we have another view of the floor to ceiling glass sliding doors that replaced the small, pokey back door. Here we can see the stylish kitchen with that distinctive, Spanish preference for cool curves and reflective surfaces. 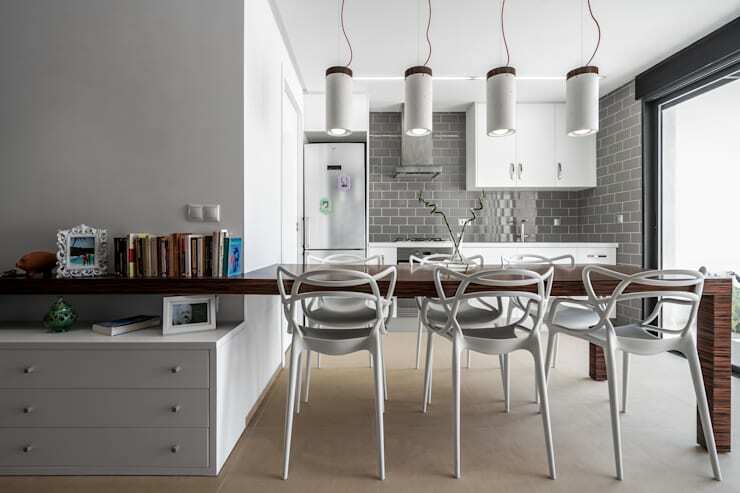 The grey tile splash-back adds a glossy, sophisticated touch for beachside glamour and the wooden dining table that extends down the hallway lengthens our sense of the space. For our final photo, we will look at the main bedroom and ensuite bathroom that have been created after combining the two smaller rooms in the original layout. 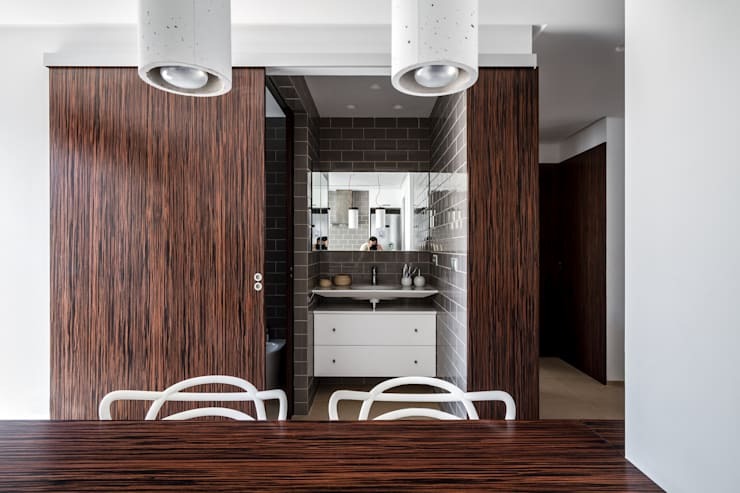 Wooden laminate surfaces are a high-gloss addition that add contrast and verve against the white shapes of the chairs and white pendant lights. Overall, this is now a home for truly glamorous beachside living. If you are interested in home conversions, you'd love this Ideabook Renovating a Roman apartment: historic meets modern. What do you think of this dramatic beachside conversion? We'd love to hear in the comments below!